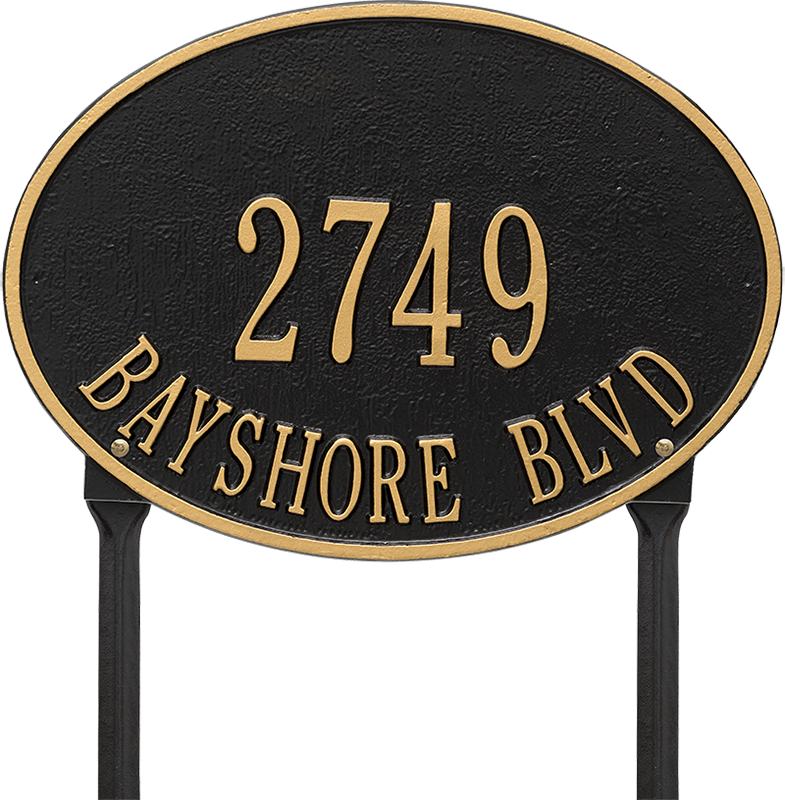 The elegantly simple oval design of our Hawthorne Standard Lawn Two Lines Address Plaques makes it ideal for most any home's exterior. 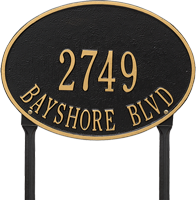 Available in a variety of finish colors to complement your outdoor color scheme. Line 1 holds up to five 3" characters and line 2 holds up to fourteen 1.5" characters.